Of course, you can't really compare the internals and performance - six years of technology advances is night and day in terms of chipsets. 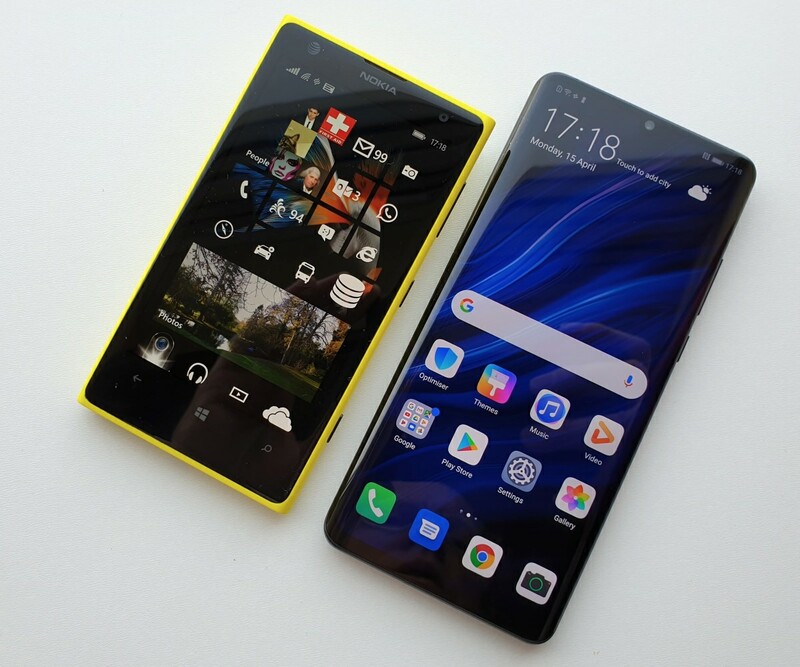 But it's still possible to draw a straight line between the two smartphones, I argue, not least because of the imaging ambitions and lack of standard expansion. Read the table below with 'a pinch of salt' and then look forward to a photo shootout between the two in the second part of this feature in a day or so's time. There's little point in shading the table for 'wins', as I usually do, since the six year gap renders comparisons extremely moot. 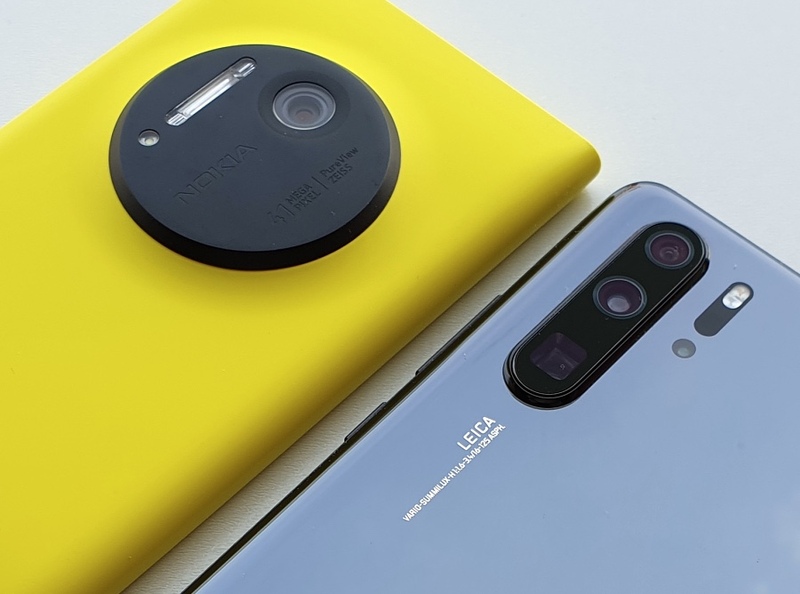 But there's still plenty of interest, I think, in terms of the philosophy of each phone, wanting to be the premier imaging phone of its generation and damn any other compromises needed. Connectivity LTE up to 100Mbps (all bands), Wi-Fi b/g/n, Bluetooth 4.0 with AptX, NFC LTE up to 1400Mbps (all bands), NFC (all uses, including Android Pay), Wi-Fi b/g/n/ac, integral wifi tethering, Bluetooth 5.0 (all uses, with AptX HD). Processor, performance Dual core Snapdragon S4 chipset, 2GB RAM, though 1GB of this is essentially earmarked for imaging. Octacore HiSilicon Kirin 980 chipset with 6/8GB RAM. Capacity 32 or 64GB internal storage, no expansion 128/256/512GB internal storage, expandable via proprietary 'nanomemory (NM)' system. 20MP, f/2.2, wide angle, 1/2.7"
Imaging (video) Up to 1080p, optically stabilised, plus high amplitude stereo audio recording. 4x lossless zoom at 1080p. AAWP Guide to PureView zoom Up to 4K video capture, digitally stabilised only, plus stereo audio recording. Zoom performance up to 15x, to be tested!! Music (headphones) 3.5mm audio jack, decent internal DAC Decent DAC built-in, but no audio jack and an adapter is needed to plug in standard headphones. Navigation HERE Maps+ and Drive+ still working fine, with map updates, traffic avoidance, and offline capability, in 2019. Amazing, really. Google Maps is now the gold standard in phone navigation, tied in with many other Google services and offering true real time navigation around traffic issues. Some degree of offline capability, thanks to user-selectable cached areas. Cortana/Voice Cortana is integrated, though some functions (e.g. music recognition) have fallen offline in the intervening years. Google Assistant is baked in with a long press of the 'home' control, and arguably the pick of the current voice aids. Cloud aids Photo auto backups to OneDrive still work, plus Office 365 and Outlook cloud integration are also still operational. Google Photos, once installed, does a great job of organising photos and syncing them across all signed-in phones and tablets. You do lose some quality unless you pay, but this is comparable to the Microsoft tariffs for OneDrive, etc. Biometrics None The fingerprint sensor is under the display and works most of the time without issue, though isn't as fast or reliable as capacitive sensors on 2017/2018 Android phones. Works with Google Pay, too. Applications and ecosystem Windows Phone 8.1 is now really showing its age, with many services not accessible, see here for my full report The might of Google and Android's app ecosystem - everything is available and almost always in first party form. Huawei has a chequered update record, but it's getting better. Expect updates well into 2020. What's interesting is how well specced the Lumia 1020 was for 2013, to be honest. Rose tinted spectacles from this distance, of course, but the screen, comms, audio, and camera (of course) all hold up today, in 2019, to some degree. The OS was too far ahead of its time in terms of UI and was under resourced and then dropped, effectively, by Microsoft, which was a great shame. But I defy anyone to pick up a Lumia 1020 even today and not enjoy using at least some parts of its functionality. While the new P30 Pro is a dozen times faster overall and has access to all the latest Android goodies. On the imaging side (which is why we're here), we have the first modern 40MP sensor to have OIS, so Huawei is back to where Nokia was in 2013, but with far beefier electronics support. Although the 1020's sensor had Back Side Illumination (BSI), a novelty in 2013, sensor sensitivity has increased massively over the years, plus there's Huawei's innovation for the P30 Pro of the Red-Yellow-Yellow-Blue sensor system, which allows significantly more light detection, it's claimed. The P30 Pro's sensor is slightly smaller than the 1020's but also slightly slimmer - the exact OIS system used isn't known (the 1020 has 'ball bearings'!) Overall, the physics of the two should result in similar low light performance. That's the physics - of course multiple exposure technology and massive processing advances in the P30 Pro make the physics pale somewhat. As we - may - see! Plus that wide angle and 5x telephoto lens combination, which I'll also be testing in the next feature. This is AAWP, so I'm guessing I should compare results to the 1020, 950 and another competing Android smartphone. Watch this space! Your comments on the 1020 vs P30 Pro and the evolution of PureView?